Create print and Internet ads with seller(s)’ input and approval. Provide "special feature” cards for marketing, if applicable. Submit ads to company’s participating Internet real estate sites. Order "just listed” labels and reports. Prepare property marketing brochure for seller(s)’ review. Order an appropriate quantity of marketing brochures or flyers. E-mail marketing material to brokers and agents with marketing material. Upload listing to company and broker’s Internet site, if applicable. Mail out "just listed” notice to all neighborhood residents. Inform Network Referral Program of listing. Coordinate showings with owners, tenants, and other REALTORS®. Return all calls promptly (weekends included). Provide showing time comments and feedback to seller(s) and recommend changes according to potential buyer comments. Review comparable MLS listings and new trends regularly to verify property remains competitive in price, terms, conditions, and availability. Convey price changes promptly to all Internet groups. Request feedback from buyers’ brokers after showings. Review weekly market study reports. Discuss feedback from showing sales associates with seller(s) to determine if changes will accelerate the sale. Call seller(s) weekly to discuss marketing and pricing. Promptly enter price changes in MLS listing database. 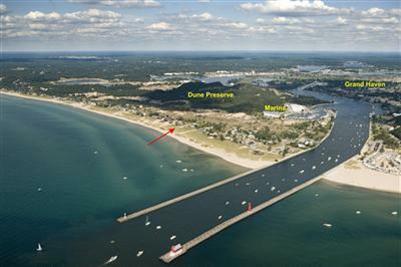 Go to Muskegon Chamber of Commerce events and promote your property.